Sherlock has been finished for a few weeks now, but based on our web stats (yes, we watch you), a lot of readers are still hungering for more material from the Holmes/Watson duo to pass the time until it returns. 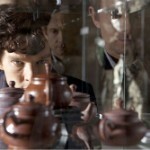 There have been previous attempts at Sherlock-themed TV shows which might scratch the itch. The 1930s and 40s version featuring Basil Rathbone is currently being shown on Turner Classic Movies, or there’s a pretty well reviewed boxset. Not to mention a collection of old BBC stories with Peter Cushing as Holmes, or the much-loved Jeremy Brett in an old ITV version, all available to compare with the Moffat/Gatiss take. If retro television isn’t your thing, there’s the modern cinema take with Robert Downey Jr as action hero Holmes. If you liked the Cumberbatch/Freeman bromance, Downey Jr and Jude Law give man-love a shot too. The sequel, Game Of Shadows, is out on DVD in May. Or, if you’d rather Holmes was a dog, there’s a Studio Ghibli animated movie for that. Sherlock Hound might almost beat Dogtanian and the Muskahounds. If not, you can always resort to Disney’s Basil The Great Mouse Detective. Oh, and don’t forget, you can always read up on the latest gossip about CBS’s modern take on Holmes, “Elementary” . So far, Johnny Lee Miller, Lucy Liu (as Watson) and Aidan Quinn have been cast. Fancy a break from all that crime-solving? 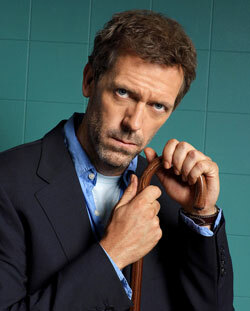 There’s always House, the successful US show where Hugh Laurie plays the medical version of Holmes (House/Holmes, see?) tackling diagnostic mysteries with a team of junior doctors and his best friend James Wilson (John Watson). 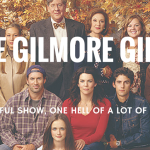 The end of the series has just been announced, but eight seasons should keep you occupied for a while. House Series 1-6 costs £54 on Amazon. Away from the TV/movie arena, the original Arthur Conan Doyle stories of Sherlock Holmes still hold up well. If you own a Kindle (from £80 on Amazon), Kobo (from £60 on WHSmith) or other e-reader or e-book software for your computer, you can pick up all of them in free editions or for very small sums. If you want to replicate the look of your favourite Sherlock characters, whether to cosplay at conventions or just, you know, for fun, there are plenty of good starting points in previous Dork Adore posts, both about general Sherlock style and Cumberbatch’s coat specifically. Or, if you just want to experience the Cumberbatch/Freeman/Moffat series again and again, that is always an option as well. But, y’know, don’t say we didn’t try and offer you alternatives. For more suggestions, including Holmes vs Dracula, check out Rob’s original “five things Moffat needs to build a better Holmes” piece. Valid point. Also, as someone correctly suggested on Twitter, Moffat’s Jekyll series is pretty good too, and is also based on a classic novel. 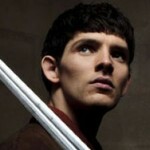 Apparently series 3 starts filming in 2013. That’s AGES away. Grr. It is quite irresponsible to leave us on a cliffhanger that big, then disappear for two years.